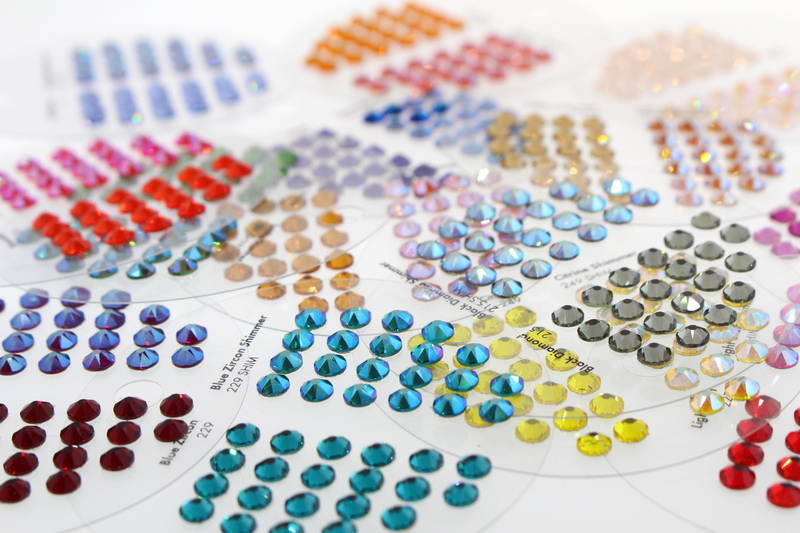 In summer of 2016, Swarovski introduced the new Shimmer Coating for rhinestones. 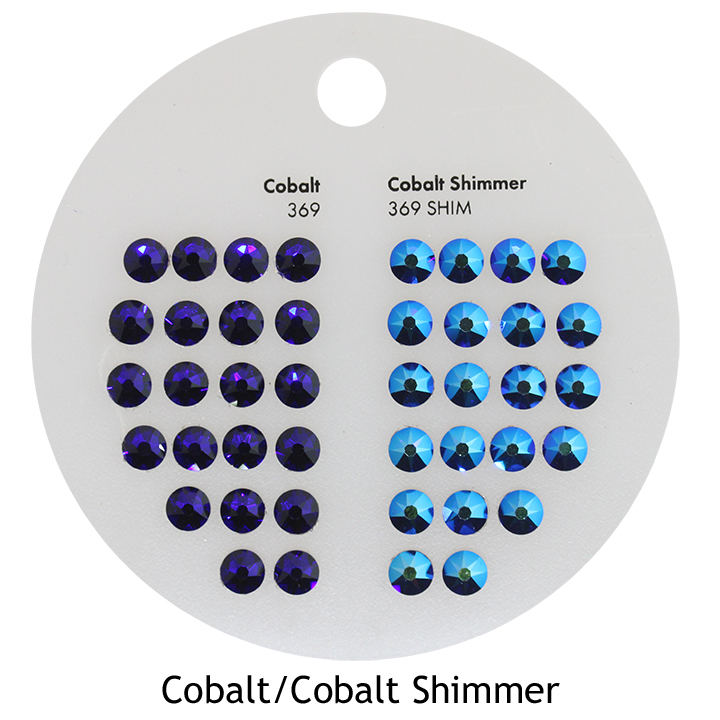 This coating (or effect) was designed to meet the need of the dancesport industry which has been desperately seeking a coating on colors that would enhance the natural color of the crystal and have immense brilliance under the lights, but not be as strong as the AB (Aurora Borealis) coating. 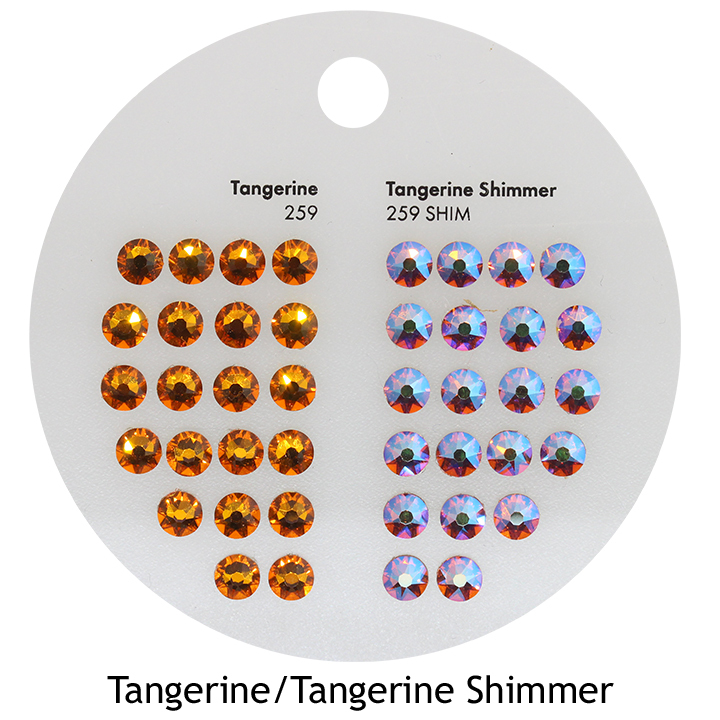 And so, “Shimmer” was born. 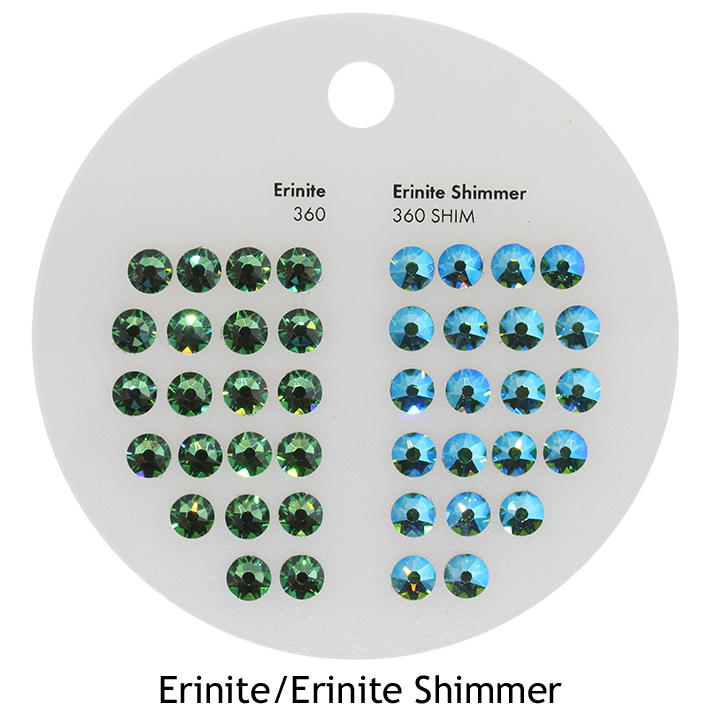 Since then, rhinestones with the Shimmer coating have exploded! 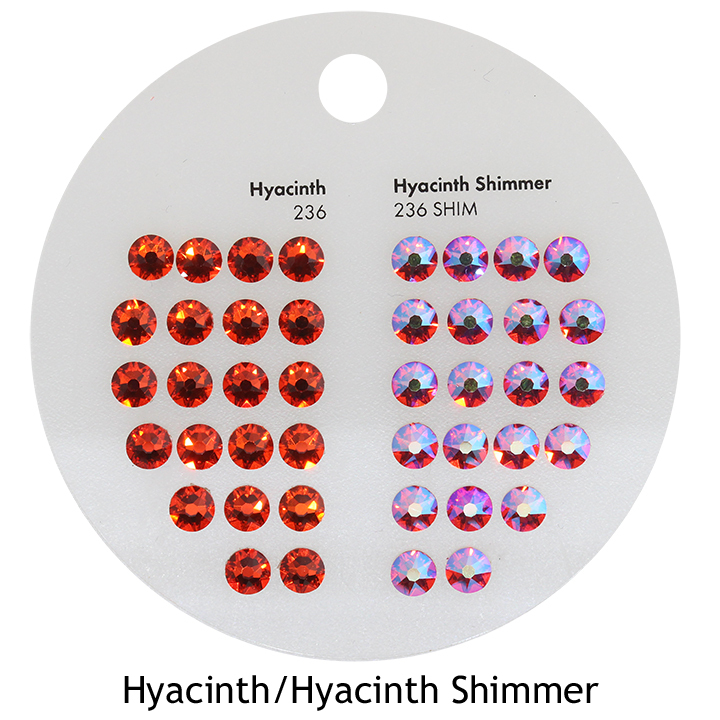 New sizes in 2058 SS5 and 2058 SS9 have been introduced, it is now available in hot fix rhinestones, and the eagerly anticipated Crystal Shimmer was also released. 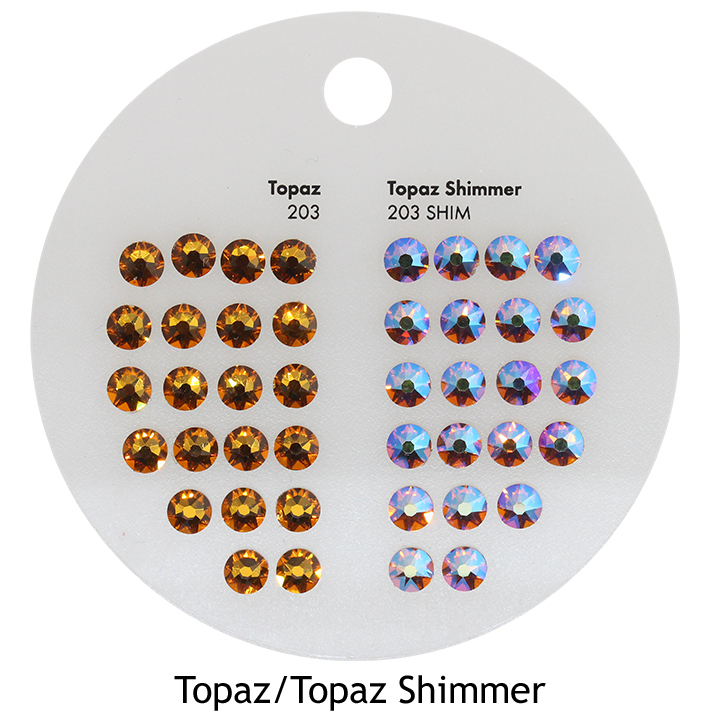 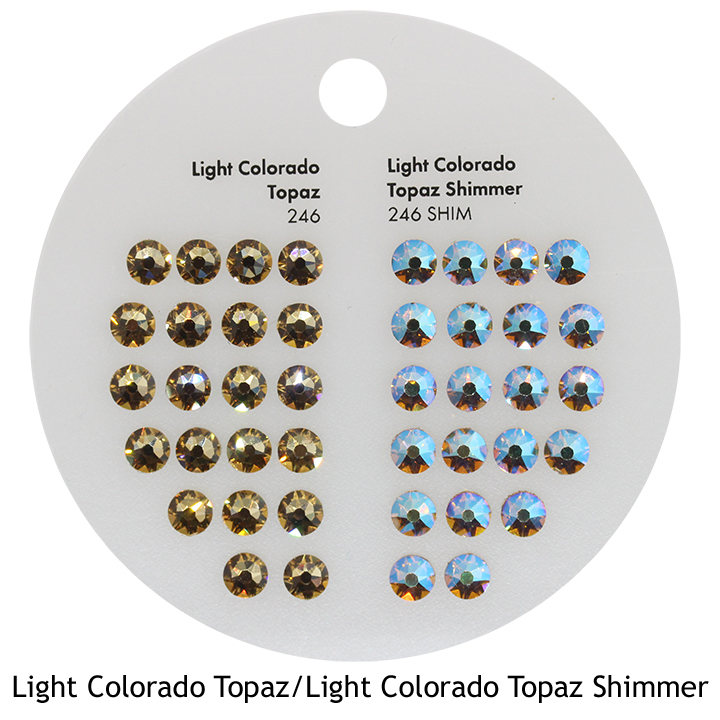 Rhinestones with the Shimmer coating are also being widely used in industries beyond dancesport. 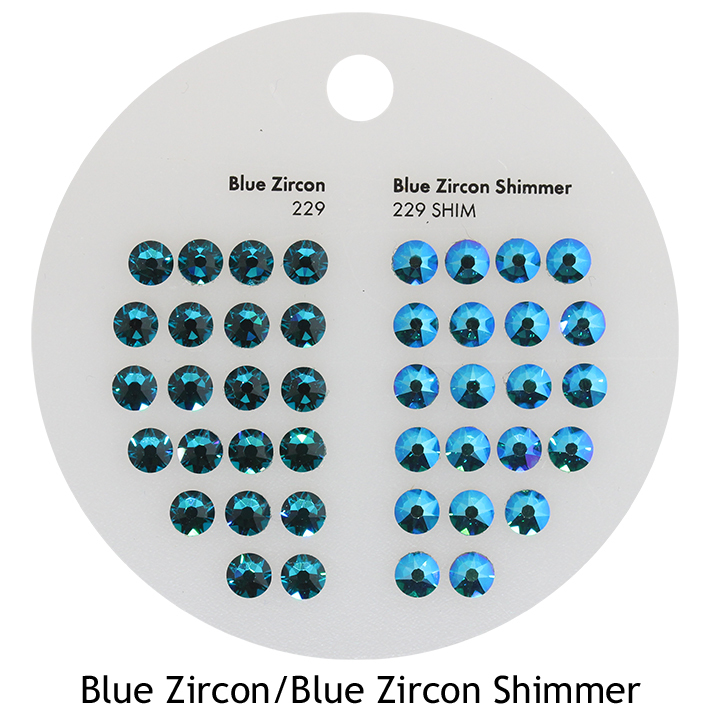 Nail Artists love this new coating, hence the release of the coating in SS5 and SS7 rhinestones. 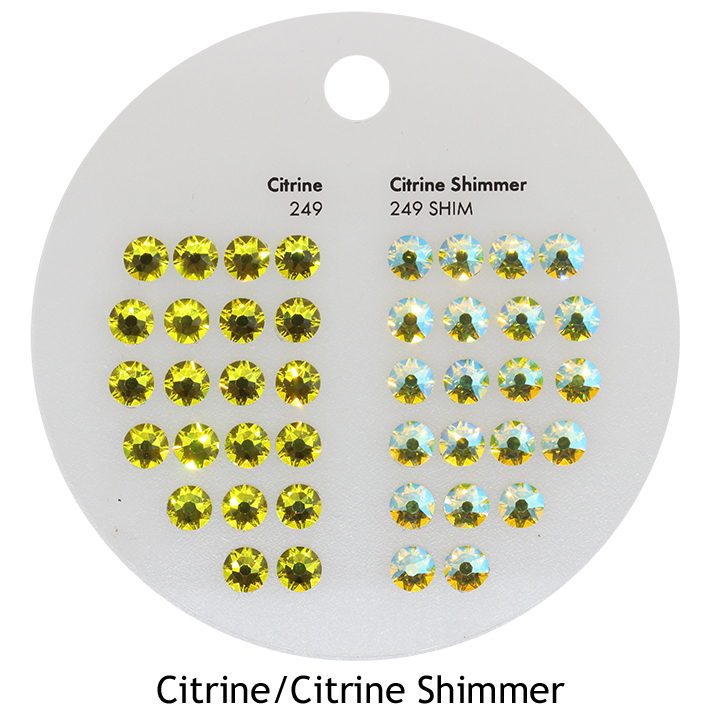 The smaller, the better! 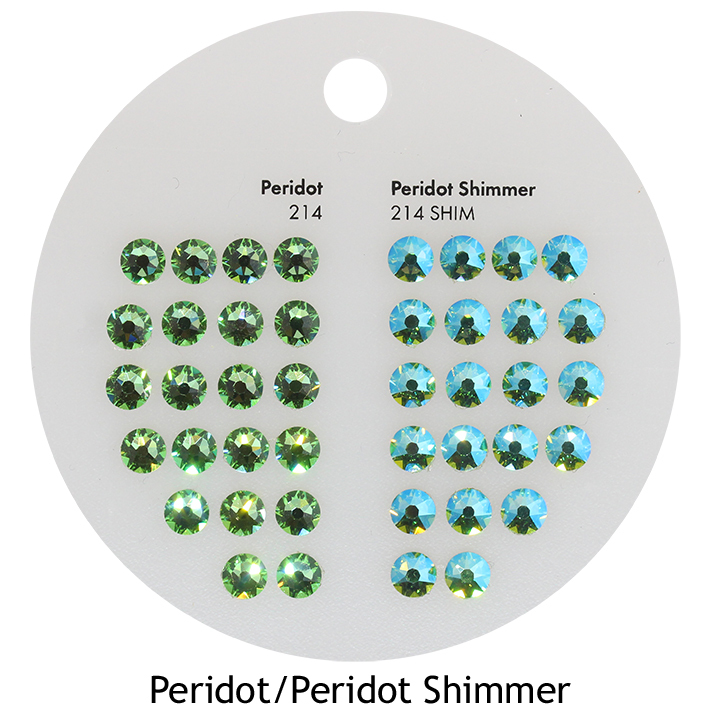 Designers across many different genres and applications are embracing the new Shimmer Coating. 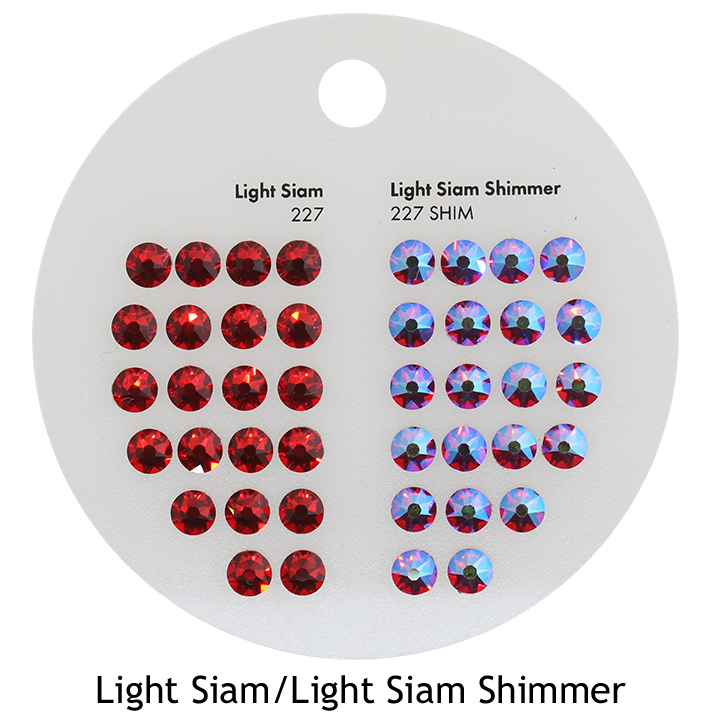 The only color not shown on this handy tool is the Crystal Shimmer. 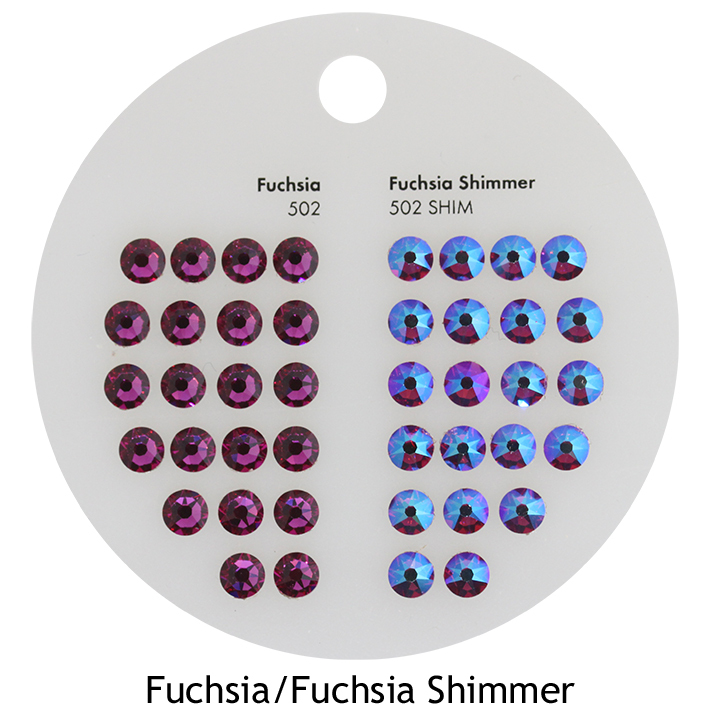 We have been asking the factory for this addition for months, but because the demand for Crystal Shimmer has been so high, they have not had any extra available to use to make the tool. 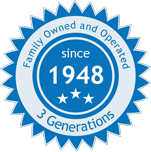 So, that tells you something! 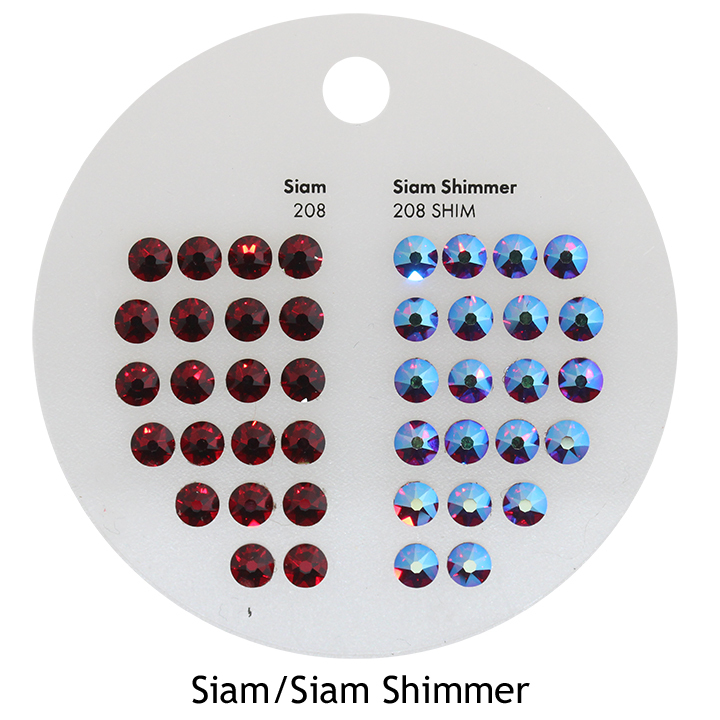 Har-Man is so pleased to be able to share this tool with you and also to make available to all designers the new Swarovski Shimmer Coating. 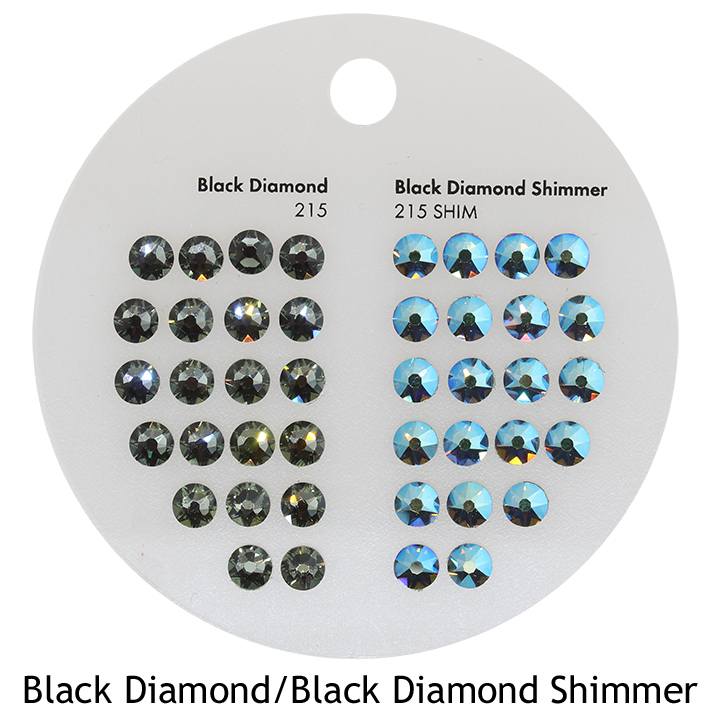 Click here to view full line available on our website. 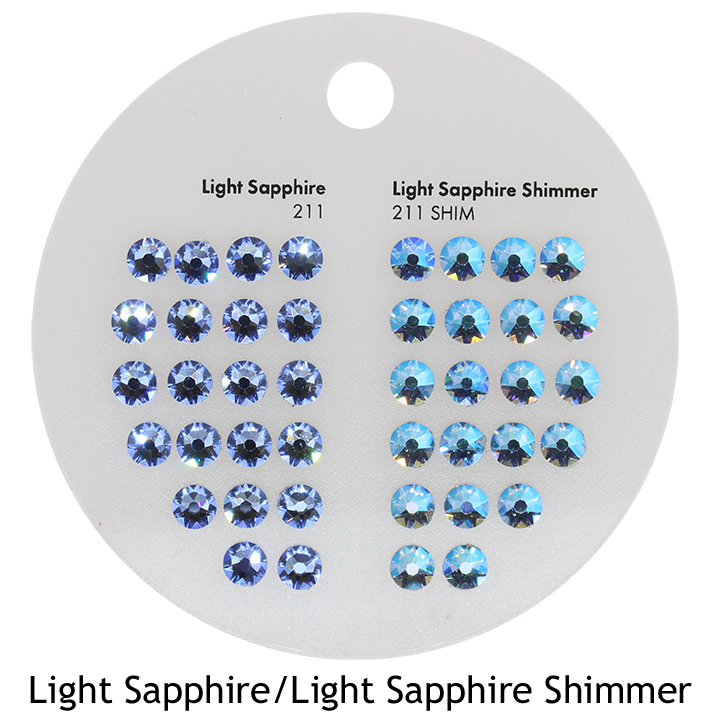 Place your online today or call us at 1-800-BEADS-NY. 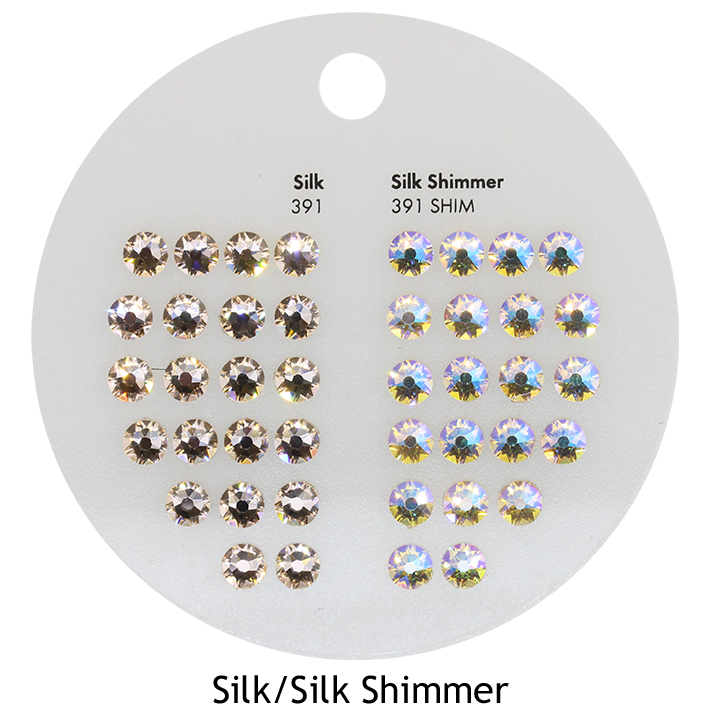 For more information and images on the Swarovski Shimmer Effect coating, read our previous blog post here.